Attendees dance in the crowd at the Global Citizen Festival in New York City, Sept. 23, 2017. The 2018 Global Citizen Festival in New York City is just around the corner! 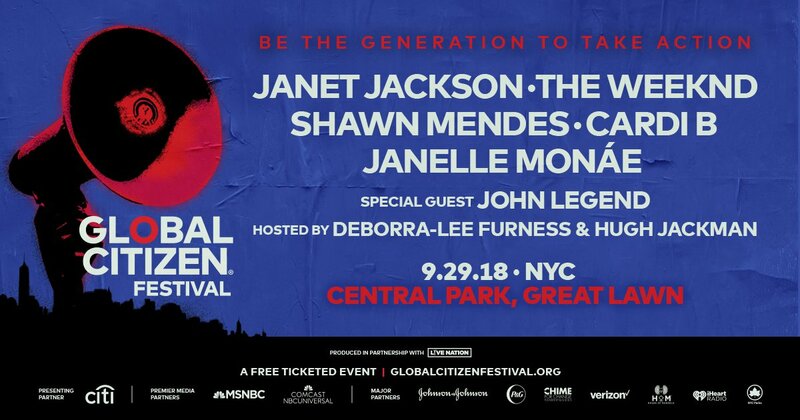 Thousands of Global Citizens have taken action to help end extreme poverty by 2030 and, as a result, earned their tickets to join us in Central Park on Saturday, Sept. 29. If that's you, kudos — we'll see you there! If that's not you, we've still got you covered. You can join the millions of Global Citizens around the world who will tune in and stream the festival live on TV, social media, and radio. 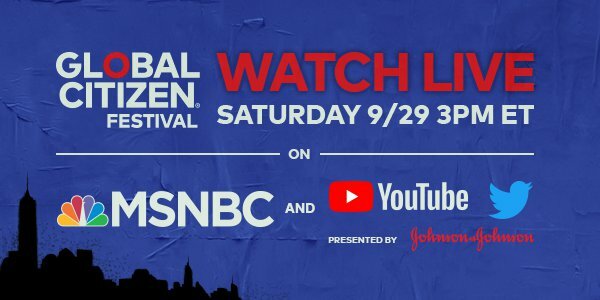 Here is your complete guide for how you can watch and listen to the 2018 Global Citizen Festival in New York, live, wherever you are.